(originally posted April 21, 2010) At a bend in Hwy 1, a mile before the bar at Rocky Point where they will serve you Red Hook in a perfectly chilled glass, there is a long pullout beneath a row of Cypress that marks the trailhead of Garrapata State Park. On a clear day the vista out over the ocean on this part of the road to Big Sur is sublime. But while it may feel counterintuitive to turn your back on the undulating hills that fall gently down to the sea, rare pleasure awaits you. Cross the Hwy and follow the path past an old tin shed, which will bring you into an open sage brush chaparral that marks the beginning of the Rocky Ridge and Soberanes Canyon loop. 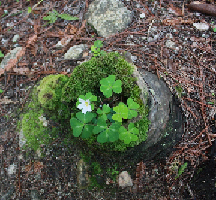 The ocean will be for the rest of the year, but these rain drenched meadows, with their profusion of spring wildflowers that gently climb to ancient redwood groves banked by carpets of wild sorrel will be gone by the end of May. I am walking the trail this extraordinary spring day with two women I have known and loved for most of my life ~ one is an artist whose work I have come to Carmel to bring back to Studio Barndiva; the other a botanist who has made study of native plants a focus the last ten years of her life. While not a complete idiot when it comes to native plants (though close) the abundance of flora makes me feel as if I have arrived at a really great party to be suddenly surrounded by incredibly beautiful people whose names I do not know. I want to know all of them. At my prompting my friend starts to reel off a rhythmical litany of plant names as if she had swallowed the Jepson Manual: yellow bush lupine, Indian paintbrush, lotus, ceanothus, woodland star, blue-eyed grass, yerba buena, skullcap, morning glory, monkey flower, owl cover maidenhair ~ listening as we walk it strikes me that most of us live and die without any real knowledge of the native plants that surround us. 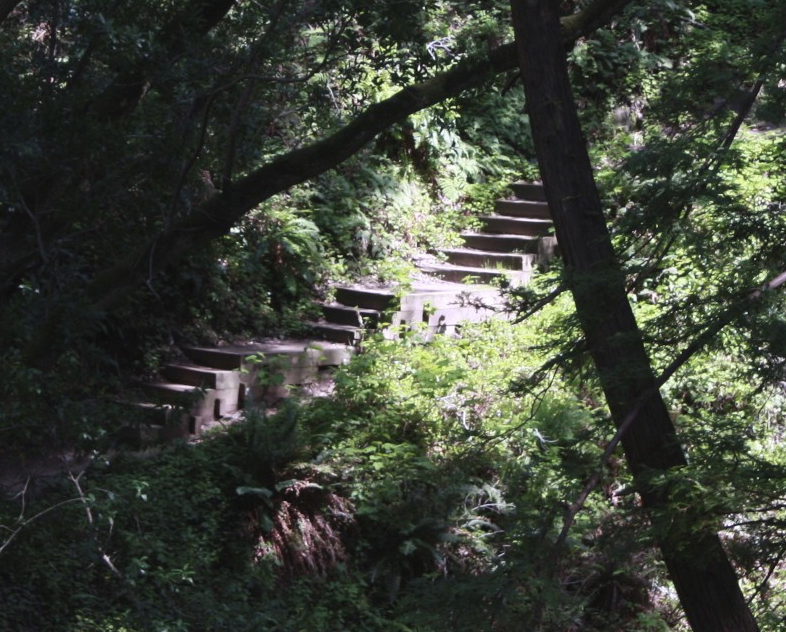 We ford Soberanes Creek and begin to climb a staircase of redwood treads embedded in the side of the mountain. They stop, start again, then disappear completely as we progress along the narrow path now 20' above the rocky fulminating creek. Between the overgrown vegetation, the sun slaking through the trees and the sound of rushing water, I have a sudden déjà vu of another walk I took oh so many years ago through the jungle of Tikal. One still had the sense in those early days after the discovery of the great Pre- Columbian Mayan city of pulling back an ancient green veil on a civilization that had completely vanished from the earth. Many of the temples were only half uncovered; climbing them you would suddenly find a thick vine the only thing keeping you from a perilous drop into the dense stone covered forest below. In no way would I compare a hike in Garrapata, where we've just passed a shirtless guy in a Raiders cap, with exploring the ruins in Tikal, where I came upon a Jaguar early one mist heavy morning. But unless something is done in the next ten years to counter the effects catastrophic cut backs have had on our state and national parks, it won't take long before the trails through the forest here in Garrapata, the public trails in every natural woodland across our great state, will ultimately disappear. The forest does not wait to reclaim it's own back. At the start of the recession I was not surprised to hear that Hendy Woods State Park, which sits on the Navarro River just below our farm, would be closed for camping for the foreseeable future. I remember thinking ok, if money must be reserved for more essential services, so be it. Yet I also remember thinking how shortsighted the closures were. Here we are telling families to pull in their belts and get ready for a rough ride financially, then closing the public campgrounds ~ beautiful and affordable places they could bring their families. Public campgrounds and maintained trailheads are essential if we hope to teach the next generation how important it is to protect our wild lands. Is this what Arnold really meant by Hasta la Vista Baby? 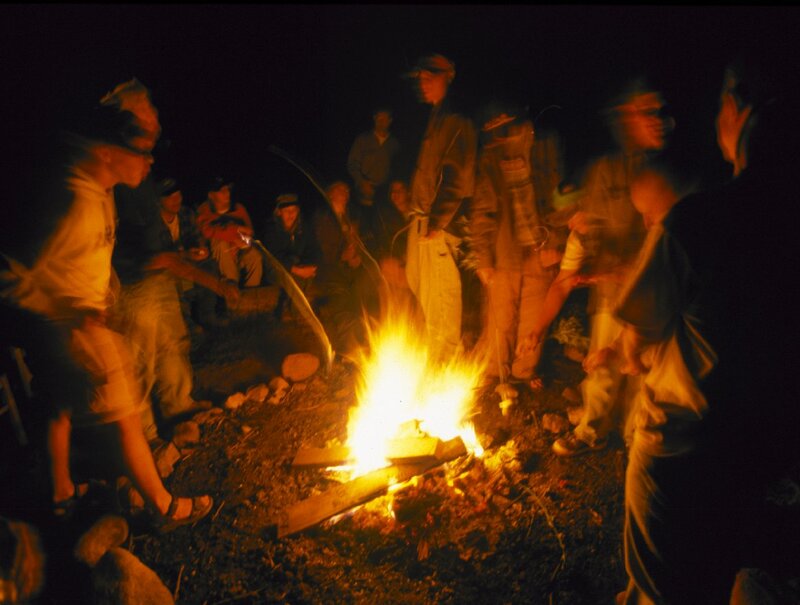 The truth is, we are not born with habits like hiking and camping. Great hikers usually had parents, grandparents (or great friends) who shared that experience with them when they were young. Almost always it provided a defining encounter they never forgot, and have longed ever since to recover. 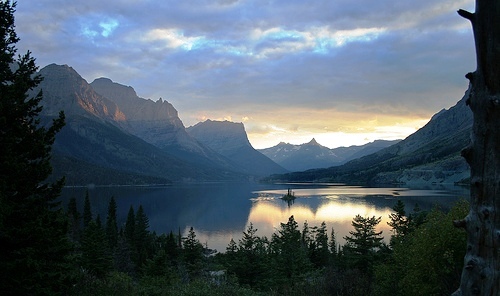 As to the fundamental importance of a parks system that builds a collective national experience, if you haven’t seen Ken Burns’ ‘The National Parks ~ America’s Best Idea,’ I urge you to so ~ it is an incredible series. Besides rightly reinstating Teddy Roosevelt to the great domestic presidents club, it also makes a compelling argument that as significant as cities were to the development of the American character, our indomitable spirit as a country of great ideas began in the great outdoors. Like most everything else in life we need to make time to explore them. 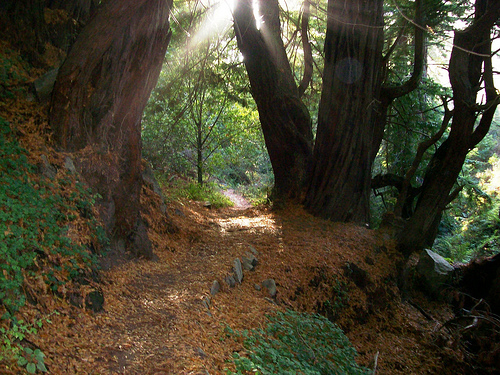 Plunge off a back road with someone you love this spring ~ mind the poison oak ~ and explore forest trails or chaparrals while they are in their glory. Hiking is free. It will replenish your soul. It’s that rare experience that is convivial yet satisfies a solitary longing. The night before our walk my friend the painter and I had ended up at the ocean at sunset with hundreds of other folks. 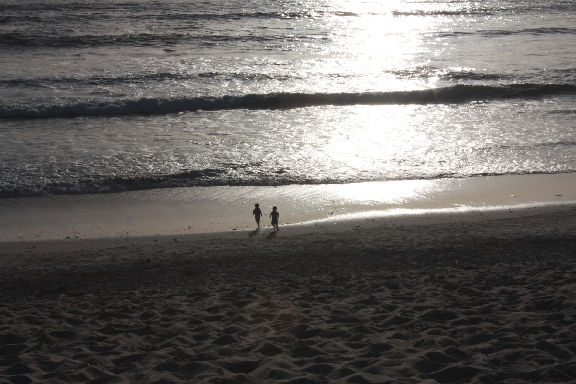 The scene was incredibly mellow ~ we were at the end of the first warm spring day, two old friends bantering back and forth as dogs barked, lovers canoodled and little children ran through the breaking waves screaming with joy. 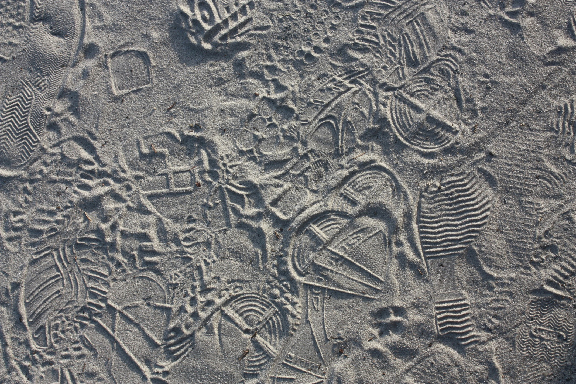 On the way back to the car in the failing light, I took a shot of shoe prints in the fine white sand because I liked the patterns they made ~ they seemed extra meaningful as we had been talking at length about a series she was doing for the Studio inspired by the cave paintings of Lascaux. Looking at that shot now, however, the memory of my forest walk still fresh in my mind, another thought occurs to me. What seemed so distinct through the lens of my camera, what I was able to capture for posterity, was actually incredibly fragile. It would be long gone by morning, blown away, or walked over by new feet carrying lovers to the edge of the sea. If you ever had trouble answering the age old philosophical question “If a tree falls in a forest and no one is around to hear it, does it make a sound?” try taking it out of the metaphysical realm for a moment, think about it socially, and emotionally, and reconsider your answer. Then go find your boots.